Geek Girls Rule! #170 – Leverage RPG – Geek Girls Rule!!! Many Tasty Adult Beverages were had. So, Saturday night in order to celebrate a friend’s birthday, a bunch of us met up at Lot No. 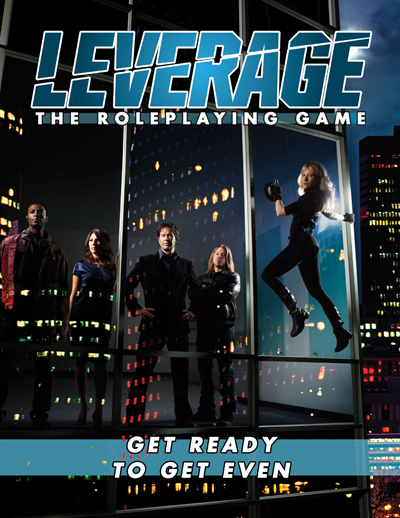 3 in Bellevue, and started a game of the Leverage: The Roleplaying Game . David, whose birthday it was (Happy Birthday, David!) is a big fan of the show, as is Lukas, who ran it. Lukas came armed with a several pre-gen characters so we could get right to the meat of playing. For those of you unfamiliar with the show, Leverage is about a team of crooks, hackers and other ne’er do wells, who have decided to even the score where the big guys crushing the little guy is involved. It’s kind of an ensemble The Equalizer . David got to play James Koga, the Mastermind. I played Kira O’Shea the Hacker/Hitter, Lesley and the Geek Husband What Rules played Camilla and Leon, twins who’d grown up on the streets and who’d been doing a little Robin Hood-ing of their own. The other David in the group played Stefan, a grifter and adrenaline junkie. We didn’t use the Cortex system that the game is actually written with, instead we used a hack called FAQ by Logan Bonner, which boils down the standard six stats in into three: Forceful, Analytical, Quick. Honestly, I really enjoyed it. It streamlined a lot of rolls, largely be removing the perennial “Now, what do I roll for this? Strength? I mean, it could be Agility. Wisdom or Int?” waffling that goes on a lot. Having the stats boiled down like that is good. Very good. The game also uses Plot Points. Everyone starts out with one, and you get more by rolling ones, which provide the GM/Fixer with conflicts, i.e. more nasty things to throw at you. You can use Plot Points to activate talents, add more dice to your rolls, or be able to increase the number of dice you count together for your score in a rolling situation. There’s a sample characters sheet linked at Logan’s site. To roll: Each of the FAQ stats (Approaches), and the Roles stats (Mastermind, Grifter, Hacker, Hitter and Thief) have dice assigned to them. You roll one FAQ die, and one from the Roles category, you may also be able to add other dice with Plot Points. You add the two highest, and the one who gets the highest result wins. There are also escalation and stake setting mechanics involved. The end-game is decided upon by the person playing the Mastermind, and there is a mechanic for helper dice from the other crew members. I don’t want to bore you by dissecting the entire game. And, well, I’ll be honest, I was drunk for a big chunk of it. This game definitely passes the “Can Mickey successfully navigate it while slightly sloshed?” test. As well as the “Perfect for a quick pick-up game” test. All told, it only took us a couple of hours to play a session, and the pacing was pretty good. Lukas is, however, an excellent GM, and I’m sure that didn’t hurt. So, overall, favorable marks for the Leverage RPG. It was great to have you there, and you’re right, Lukas is an awesome GM. The game was kind of an experiment in two parts. The first part was whether or not we liked the game (and for me to get some more experience with this kind of game) and the second part was the setting, to see if we could have a game in a fancy restaurant while nice waiters brought us food and drink. What did you think of that second part? I think that second part was brilliant! 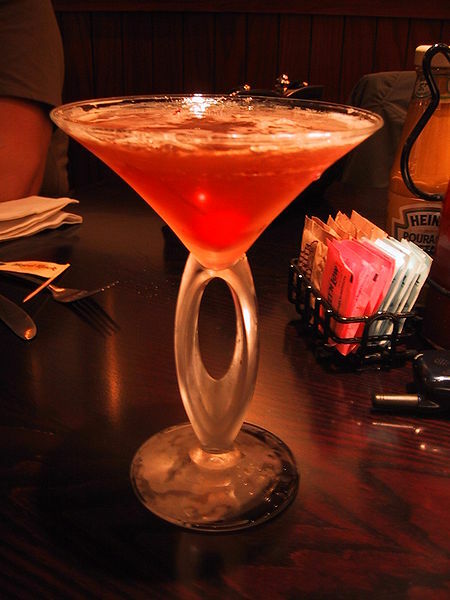 I wholly approved of my snooty drinks and yummy foodz. And I think something with a system that easy/light is perfect for that place. It doesn’t require a lot of rules lawyering, there’s just the one small book. I think it was a success. FAQ’s a good hack for Leverage, especially as it just switches out the legacy attributes for approaches. Very cool. Regardless of whether you hack it or not, the game is a pretty slick engine and runs well in less than 3 or 4 hours. I agree, I just think that the hack definitely cut down on the amount of arguing over which stat does what. Mostly because I’ve met us. Glad you enjoyed it! Big ups to Cam, Rob, and the rest of the Leverage design team as well. The FAQ hack is the cherry on top of an already delicious sundae. If you’d asked me six months ago if I’d ever be impressed with a Cortex game, I’d have looked at you like you were the dumbest person on Earth. Hey, I considered that really informative.